Working with reporters and editors, I developed animated interactives for Condé Nast Portfolio and was the creative director hiring and overseeing freelance designers, illustrators and developers to insure that the execution of each piece remained smart, fun, and on brand. INNER SANCTUM: A monthly interactive feature, incorporating audio and video, that gave a visual tour of the offices of various company executives, to see the working environments they created and the stories behind their most prized possessions. THE E.Q. 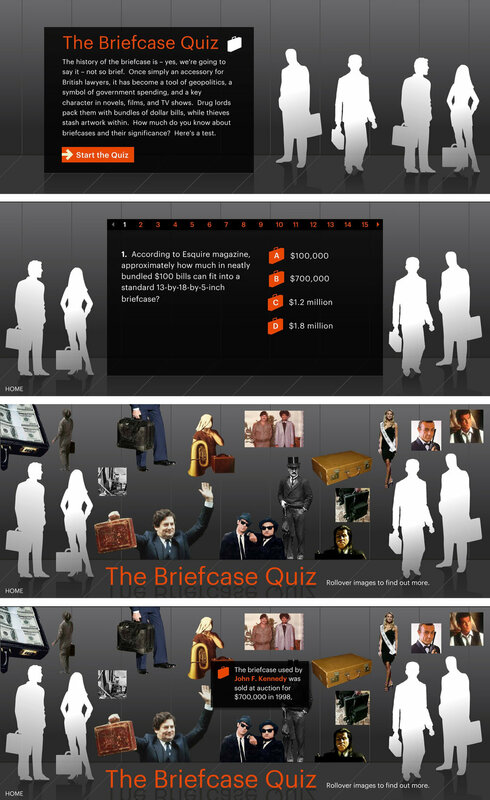 QUIZ: Created a monthly interactive feature, incorporating audio and video, that gave a visual tour of the offices of various company executives, to see the working environments they created and the stories behind their most prized possessions.